Pierre has the position as Senior adviser – Quality development, Department S – Safety, quality and environment at Swedish Nuclear Fuel and Waste Management Company (SKB, Svensk Kärnbränslehantering AB). His main interests are in management systems, management reviews, internal audits, requirement management and OE/CAP. Pierre basic education is in mechanical engineering (BSc Uppsala University, Sweden) and he has almost 30 years of experience from engineering, quality management, project management and management from various businesses. 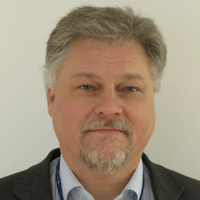 The latest 10 years he has experience from the nuclear business, where he has held the position of QA-manager at Forsmark NPP in Sweden and QA-manager at Vattenfall nuclear projects & services in Sweden. Pierre is active in national and international networks, he is currently the Swedish representative in FORATOM Management system work group.